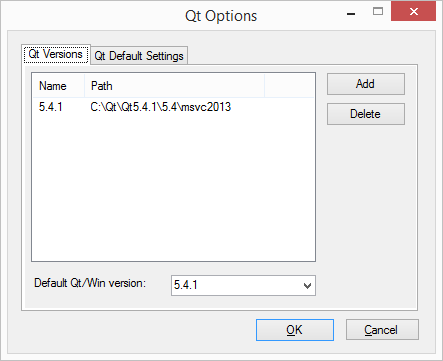 3) From the “Qt Options” dialog (and on the default “Qt Versions” tab) click on “Add”. 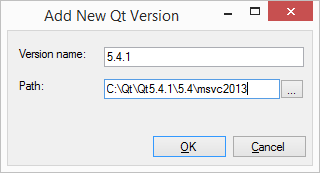 4) In the “Add New Qt Version” dialog type in “5.4.1” for the version name, and “C:\Qt\5.4.1\5.4\msvc2013” (or “C:\Qt\5.4.1\5.4\Src\qtbase” if you did the Hex Rays blog way). 6) Click on “OK” again to finish, your done. 1) Load in your solution with an old Qt 4.8.4 configuration. 2) Highlight the first (probably only) project in the solution in the “soultion view”. 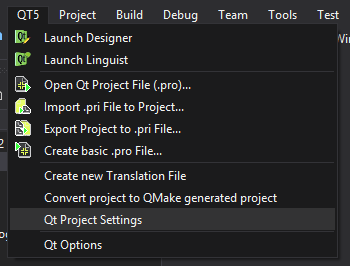 3) Pull down the QT5 menu to “Qt Project Settings”. 6) Do this for each project in the solution if there is more (repeat from step 2), if not your done. 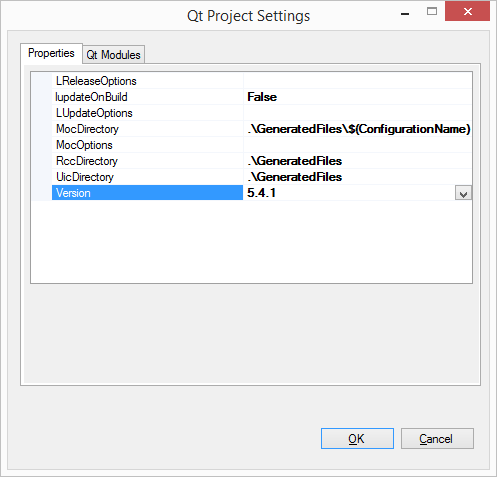 Your IDA Pro plug-in using Qt should now build properly, Visual Studio doing the Qt Meta-Object Compiler (moc), running the Resource Compiler (rcc) build steps, etc.. This is where my story/help ends. If you run into problems be sure to read my origional blog series “Qt 4.8.4 on Windows for IDA Pro C/C++ plug-in development” where on the 3rd part I have some Qt reading suggestions and you can try the offical Qt forum for Qt related questions. It might take some work but then you’ll have all the flexability and expresion available for beautiful custom Qt user interfaces for your IDA Pro C++ plug-ins.